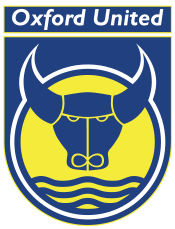 If you plan to travel with us to Oxford United on Monday 2nd January, please don’t delay your booking- we are already well into coach number four and once it’s full we expect to have to stop! So if you don’t want to be left behind, please contact Travel Ken soon. We would suggest that you book at the Alliance cabin at the home game with Gillingham on Boxing Day. 1. Visit Travel Ken in the Alliance Cabin on matchdays. 2. Call Travel Ken on 07843124845 -but please, NOT ON CHRISTMAS DAY- even Travel Ken’s dedication has some boundaries! 4. Call into CTFC Reception at the Broadfield during office hours. Have a wonderful Christmas, thank you for all your support over the last six months, and here’s to three points on Boxing Day!